The Swissôtel Zurich in Oerlikon has undergone an extensive renovation programme across its rooms. Refurbishments included the installation of energy and heat recovery systems to enhance the hotel’s sustainability levels. 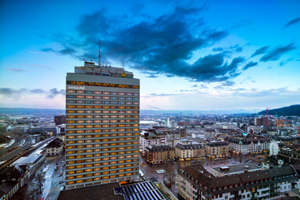 The property has 347 rooms, a spa and 19 conference rooms and meeting rooms that can accommodate up to 1,000, one of the largest capacities in Zurich. Meetings spaces have natural light and are equipped with state of the art technology.